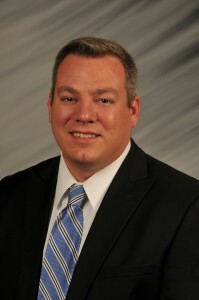 Scott W. McKinley is a Capital University graduate praticing Workers’ Compensation Law, Employment Law, and Labor Relations Law in Central Ohio. Scott W. McKinley graduated with Order of the Curia honors with his Juris Doctor degree with a concentration in the field of Labor & Employment Law from Capital University Law School in 2009. While there, Mr. McKinley earned much recognition and several awards for his outstanding academic achievement and his excellent research and writing skills. He was awarded and served on Capital University Law Review as the Executive Research Editor from 2008 to 2009, and was named the Staff Member of the Year for the 2007-2008 academic year. His article, entitled The Need for Legislative or Judicial Clarity on the Four-Fifths Rule and How Employers in the Sixth Circuit Can Survive the Ambiguity, was published in 2009 in Capital University Law Review at 37 Capital University Law Review 171 (2009). Additionally, he earned the CALI Award for Excellence in Employment Law in 2009, as well as, the CALI Award for Excellence in Labor Law in 2007. For his outstanding academic achievements throughout his entire law school career, he was named the Employment Discrimination and Labor Law Endowed Scholarship Recipient for academic years 2007-2008 and 2008-2009, and the Trustees’ Merit Scholarship Recipient for all three (3) of his law school years. Mr. McKinley earned several prestigious internships and externships during his law school career. He was nominated for and awarded a Judicial Externship with the Ohio Supreme Court where he clerked for Chief Justice Maureen O’Connor. He served as a Legal Intern in Capital University Law School’s General Litigation Clinic where he was responsible for the supervised prosecution of traffic and misdemeanor cases in the City of Whitehall’s Mayor’s Court, the representation of individual clients in domestic relations matters, including Civil Protection Orders, and the management of an Application for Executive Clemency before the Ohio Parole Board. He also was awarded a Research Assistant for Professor Floyd Weatherspoon, a renowned professor in the field of Labor & Employment Law. Prior to joining the Thomas & Company law firm, Mr. McKinley’s practice was diverse and included all aspects of the operation of a general practice law firm. He eventually took on the responsibility of Managing Attorney of his own law firm, where he successfully represented clients in civil, criminal, and appellate matters. His concentration in Labor & Employment Law earned him the ability to become a Labor Relations Specialist with a large healthcare organization where he was an integral part of intense contract negotiations, labor arbitrations, and grievance hearings. Mr. McKinley also has significant non-legal, practical experience in the Human Resources field. He served several years as a Management Consultant in which he assisted clients with various human resource and labor relations related issues. He has extensive experience in the drafting and implementing of comprehensive Human Resources’ policies and procedures, including Drug Testing initiatives, Hazard Communication programs, and Ergonomics protection and compliance programs. Currently, Mr. McKinley’s practice includes Workers’ Compensation defense for large corporations and smaller businesses. He also is utilizing his extensive Labor & Employment background to expand his successes in that practice area. In his free time, Mr. McKinley enjoys spending time with his family and friends. He has a keen interest in emerging state and federal Labor & Employment trends and issues. Mr. McKinley is licensed to practice law in Ohio. He resides with his wife in Westerville, Ohio.